ATTENTION!!!! ATTENTION!!! ATTENTION!!!! AVOID AVOID AVOID!!! last season i spent a week in this hotel with my girlfriend and it was the worst experience of my life!!! i would never set foot in Bulgaria again even if i was paid an endless amount of money!! to start with the meal we received when we arrived at our amazing hotel consisted of a tomato and some sort of dodgy sandwich. we were then shown to our room buy someone who can only be described as Igor, and the room was in resemblance to faulty towers except the funny comedy styling of john Clease. our room when we arrived in it the light in the room did not work so we had to rely on the use of a small bed side lamp and the glowing warmth of Bulgarian t.v channels that all seem to show folk dancing in the same garden setting. Igor promised to come and fix the light in the morning because he apparently couldn't do it tonight he informed us in very broken English. we then settled into the room and tried to make the best of a bad situation. all night we could hear the sounds of howling dogs outside the hotel and people running up and down the corridor outside the room. the next morning we were awoken by a cleaner walking into our room who did not speak a word of English as we tried to ask her to leave. we took a wonder around the town and were pestered by every single person on the street asking us to come into there place to buy something or for something to eat that didn't look very sanitary or appetizing. after hiring some very old beaten up snowboards we took to the mountains to find that most of the lifts were either closed or out of service. to be fair the snow was good and picked up thought the week dropping probably 50cm but the hotel was appalling. the food that was served as the evening meal was horribly disgusting and for several meals we were turned away as there was something happening in the dining room. for a week we basically survived of shopping bought from the supermarket in the town which is a mile walk down to the town. the hotel is located at the top of one of the ski runs the rota and is quite steep to get back up at the end of the day. even when the run was covered in snow the lift was not running and looked like it was shut down. as the week progressed the room began to fall apart around us. the bedside table light broke, a piece of the wood skirting board that is halfway up the wall fell off and onto the bed. ( this had to be used to prevent cleaners from coming into our room in the morning by wedging it by the wall to the door.) the window leaked and let in cold air. if you are after an experience you will never forget for the rest of your life then this is the hotel for you. if you want to go somewhere every single person looks at you like you are inferior to them because you are not Bulgarian go here. if you want to go to a place that even though no one is smoking in the room the room still smells heavily of smoke then go here. if you want to go to a hotel where of a night you fear for your safety then go here. if you want to go to hell and back (if you are lucky enough to survive) then go here. maybe in the 1960's when the hotel was probably built it was nice but trust me it is not nice there now. avoid Bulgaria and your life will be good!!!! Stayed here feb. 1/2 term. After reading reviews, was quite anxious - but this was not necessary. Whilst hotel very tired, it is clean and if anything too hot ! Food was better then expected and ate in most nights...although at prices in the village, you had to go out. Boris behind the bar is a real star and a great host. Refursbished room are a must though. For the money the hotel was good. Giorgio the guy who crones at evening meal is a real pice of "entertainment" and musn't be missed. If you're on a budget, you won't go wrong with this place. Basic but clean. Just returned from spending new year 2007 in the hotel Olymp. Sorry to sound negative but I would never go back! I didn't expect much from a 3* hotel just for it to be clean and comfortable but unfortunately I don't feel it was either. Where to start! Strong smell of smoke as you get out of the lift on all floors. People smoking all over the food in the restaurant. Cold food (even when you wait for the fresh stuff to be brought out), cold pool, cold showers between 6pm-8pm! Sauna shuts at 5pm (just as your getting home from the slopes!). An OK location is the only positive I can come up with. Overall a bad experience for me sorry! this was the worst hotel we have ever stayed in! the food was unedable, cold and raw, the rooms were electricaly unsafe, the bathroom was not only small but with broken tiles on the floor, a toilet that leaked the whole time we were there and the door did not close due to poor fitting hinges. If you are thinking well everyone sees things in different ways, DON'T! our rep was unhelpfull and we have just sent a 3 page letter of complaint to our tour operator. our advice is don't stay there. Stayed at this hotel in Feb 06.Dreaded going after reading previous reports but hotel ok if a little tired looking.Room clean and relatively comfortable .Only complaint about the room is the dogs who seem to be howling the majority of the night.Food ok at breakfast but rubbish at the evening meal, but eating out is cheap enough.Worth having one evening meal just to experience the resident singer during your meal. We stayed at the Olymp for the second year running during February half term. What a difference a year makes - accommodation was excellent - food could be a bit more attractive and hot - but hey we're on holiday. Staff are always pleasant, helpful and polite. We liked the porter in his little red coat!!! The only other problem is carrying your cases up all those steps especially when they are covered in snow. The hotel and resort are worth recommending. See you next year. Big thank you to "The Doc" who looked after the teenagers. we stayed in this hotel from 14th Jan 06 to 21st Jan 06 and we stayed on the 3rd floor and cannot fault our room it was excellent! full refurbishd, extractor fan in bath, balcony, sattellite tv e.t.c Hotel Food was dreadful but i think its like it in all hotels - i wouldnt even call it "luke warm" hotel is a good position right next to ski slope - although be warned coming back after a night out when ur drunk is a bit "entertaining" to say the least!!!!! i would stop at this hotel again, porters and staff are very friendly. My partner from Serbia told me that we were going to spend New Years Eve skiing in Bulgaria. Fantastic I thought - that was until I read the comments about Hotel Olymp from previous guests. I asked him to find another hotel but everything was booked out. So we upgraded to the Deluxe Room for a small difference. The hotel is only 3 stars so you need to keep this in mind. We found the staff very friendly and helpful. Unfortunately our room had 2 x single beds, which I wasn't pleased about. 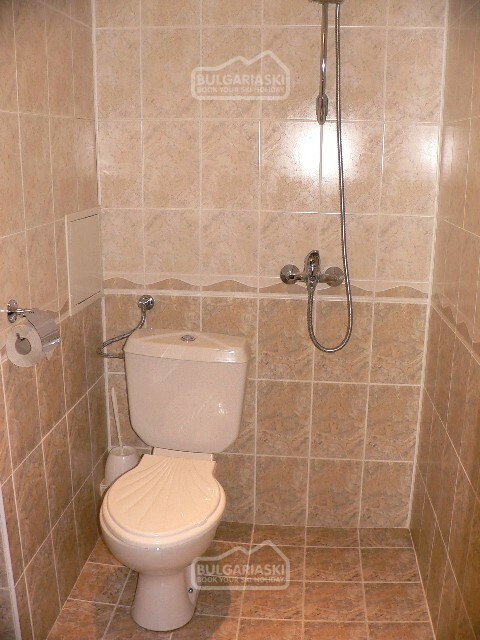 The bathroom had been completely renovated. Unfortunately, we did have to shower standing next to the toilet and there wasn't an exhaust fan in the bathroom. There was plenty of food for both breakfast & dinner which was good quality, but yes, sometimes luke warm. The pool was good but was a little cold for our liking. The staff in the ski depot were friendly and our instructor was fantastic. Thanks Grandad (nickname). Overall a pleasant week and we don't have any hesitations in recommending Hotel Olymp to anyone. We stayed at the hotel Olymp last week returning on the 21st Jan. 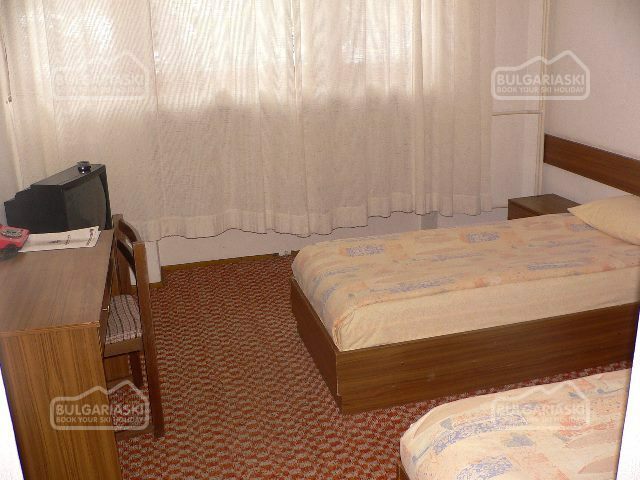 I was very worried having read the comments, we had two rooms in our group, one on the third floor which was very nice. The room I was in was on the first floor which was only just about ok, small for three adults and needed renovating, wet room style shower with the toilet in it, we even had an old style turn the dial phone a throw back to the 1970s. The food was boring but quite edible. The best thing about this hotel was the fact you could literally walk onto the ski runs within a min, and ski right upto the steps of the hotel, this was superb. The Hotel Olymp is a good five mins walk from the main town. The Skiing was very enjoyable even if I did fall over quite a lot. 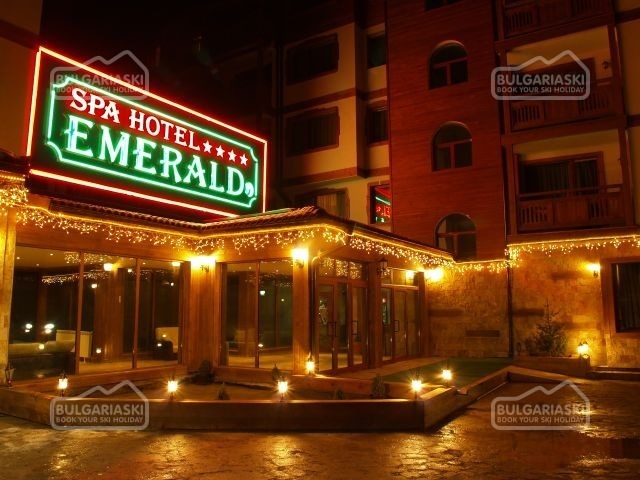 Having now been to Borovets my advice would be spend the extra and stay at the hotels Rila or Samokov. 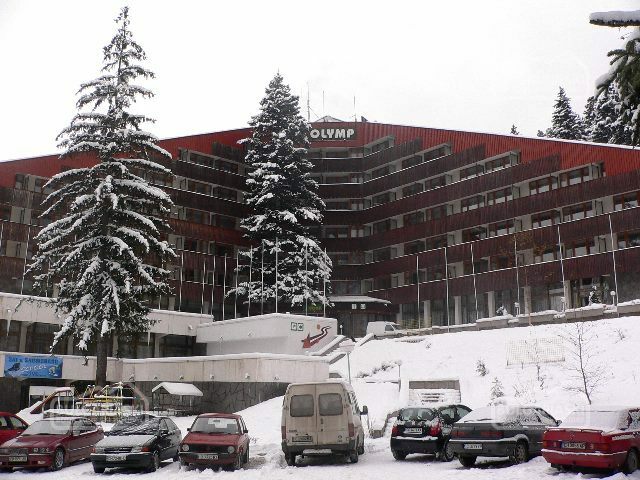 Please, post a comment on Olymp hotel in Borovets.